I know, it’s hard to say goodbye to summer. But it’s almost that time again. Time to pack the lunch boxes. Since this was so popular last year, we thought we’d share it again: inspiration for what to send to school so your kid doesn’t drag home a disgusting lunch box every day that’s filled with soggy, uneaten food. Ugh. 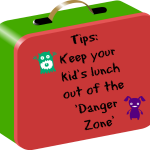 → If your kid’s lunch contains perishable food (lunch meats, eggs, or yogurt) make sure to pack it with at least two freezer packs. Frozen juice boxes or water can also be used as freezer packs. Just freeze them overnight and use with at least one other freezer pack. By lunchtime, the liquids should be thawed and ready to drink. 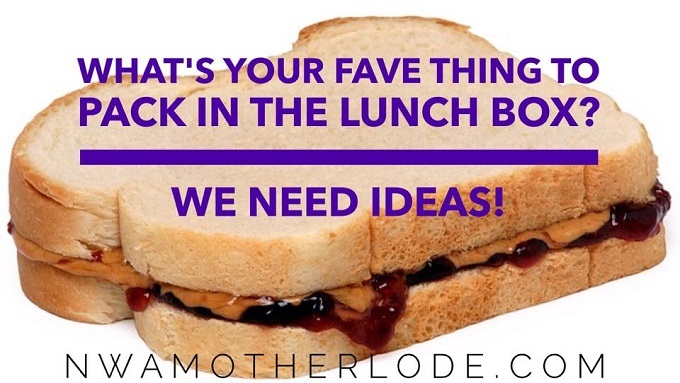 → Don’t forget to get the kids involved in brainstorming lunch box ideas BEFORE you head to the grocery store. 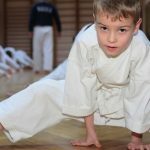 Giving them an opportunity to have input should mean they actually eat their lunch (please eat your lunch!). If they don’t suggest anything healthy, tell them you’ll compromise: if you eat this healthy thing, then we can also pack your favorite treat. → If you’re packing a hot lunch, like soup, chili, leftovers (or turkey meatballs, see below) use an insulated container to keep it hot. Fill the container with boiling water, let it stand for a few minutes, empty, and then put in the piping hot food. Just tell the kids to keep the container closed until lunchtime to keep the food hot. You’ll have to do this one in the morning, of course. → Try to have containers on hand that will keep your kids’ lunch from getting smashed. It will be so much more appealing if they open up their lunch box to see an un-squished sandwich. Make life easier by having the right tools on hand. → Speaking of, in our lunch box thread on Facebook, Northwest Arkansas mama and food blogger Whitney Taylor from aspoonfuloflove.com suggested Sistema brand dip containers and Planetbox lunch boxes for packing efficiently (that’s what you see in the pic above). Here’s a link to her post with some great ideas for what to pack (and they all look so pretty). 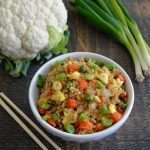 → If you’ve got a vegetarian kiddo, our friend Christy has started a new Instagram account where she’s sharing her favorite recipes. Click here to see her meals. → Use leftovers from dinner the night before. Don’t throw it away, put it in a lunch box-sized container and put it in the fridge. You can pack it in a thermos the next day or let your kiddo eat it cold (if you know they’ll eat it that way). → Make your own “uncrustables”. Just be sure to put your peanut butter/sun butter/almond butter on BOTH sides of the bread with the jelly in the middle. It will keep the bread from becoming soggy. Just freeze the sandwiches overnight and pull them out in the morning. Here’s a link to a Pampered Chef Cut N Seal uncrustable maker. → Buy bags of your kids’ favorite snacks like pretzels, Chex cereal, raisins, white chocolate chips … and make your own specialized trail mix. Go ahead and add to plastic baggies so they’re ready to grab. Rhonda: Send a portable taco salad station in your kid’s lunch box. Just put leftover ground beef (cooked, of course) in a container along with other smaller containers of lettuce, tomato, avocado, salsa (whatever your kids like) to mix up and make a taco salad. You can also pre-combine the ingredients if your kids aren’t too picky. Just be sure to add the crushed tortilla chips in the morning so they don’t get too soggy – or just place them in a separate container to be added to the top of the salad when your kiddo’s in the lunch room. They liven up the salad with a little crunch! Hilary: Chicken nuggets, pizza rolls (I call em pizza bites) ravioli, anything you can think of that is hot I will put in my son’s lunch. We also do peanut butter and banana roll ups on wheat tortillas, or Nutella and banana roll ups. Homemade lunchable- skinny sandwich rounds put some pizza sauce in a small container and what ever sides they like. Holly: A bento box with spinach, almonds, pretzel chips, and strawberries. PBJ, Cheez-its, milk, and strawberries. Summer: Turkey (or ham) and cheese roll-ups, baby carrots with ranch dressing, and graham crackers with Nutella or marshmallow cream. Granny Smith apple slices with a scoop of peanut butter, mini pretzels, and a stick (or two) of string cheese. Chris: My son’s favorite is blueberries and my daughter’s is watermelon. They love having fruits & crunchy veggies in their lunch. Dips are appreciated and eaten also- hummus, sunflower seed butter, yogurt, marshmallow cream etc. We send turkey/ham/chicken wrapped around cheese sticks or pretzel sticks. Variety of fruit, pretzels or other crunchy carbs, water & juice pouch and whatever they don’t eat for lunch is their afternoon/after school snack. Nikki: Salad with baby spinach, boiled egg, bacon, carrots, and dressing of choice. Baby bell cheese with crackers, apple, and turkey. Hummus with pita chips, strawberries, and cucumbers. Nutella sandwich, chips, and strawberry applesauce. We occasionally partner with Produce for Kids to share recipes here at Motherlode. 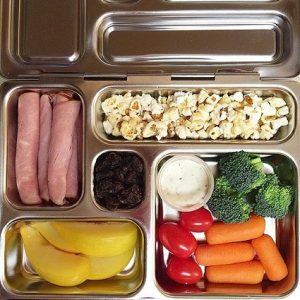 We noticed they have a great post with lots of lunchbox ideas here. We hope these tips and ideas helped, mamas! Don’t forget to write a note to stick in the lunch box, too! Unless, of course, you have a tween or teen and they have forbidden it. 🙂 And we’d LOVE for you to join us over on Facebook anytime. CLICK HERE to pop over and join the conversation! 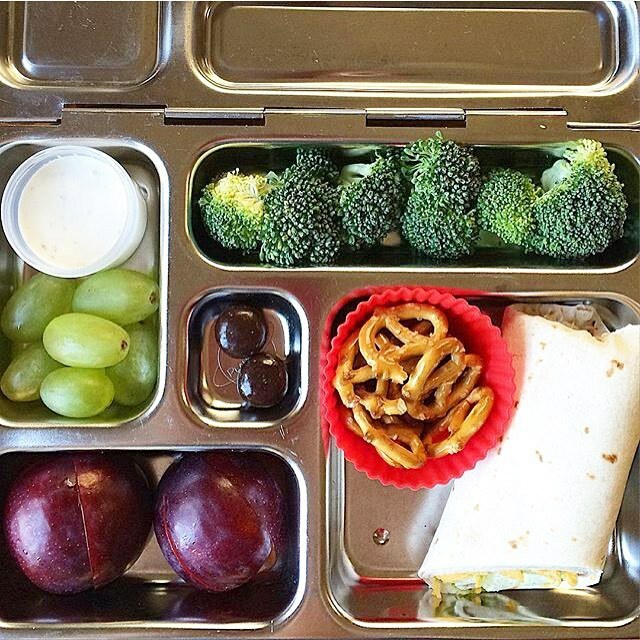 Mealtime Mama: What to pack in those pesky lunch boxes!